More than 4% of households in the UK make do without a TV. The big question for the people in those 1.1 million homes, of course, is: what does all their furniture point at? The findings were highlighted in Ofcom's recent Connected Nation 2015 report, and showed that the number of UK homes with broadband internet access, yet no recognisable TV set, had tripled in the years between 2009 and 2014. That's a real shame, as there are some brilliant TVs out there to buy right now. The report also shows that the number of households with at least one TV was slowly declining too, dropping by nearly half a million. 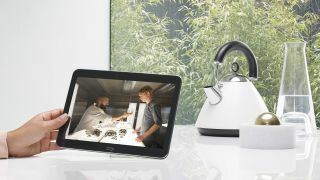 Ofcom says it's the younger households that are more likely to be without a fully fledged TV – but they're still going to be watching linear TV broadcasts via web-connected services on their computers or other devices. "Younger households are less likely to have a TV set," says Ofcom. "However, as the total number of these households is growing slowly, and many younger viewers may acquire a TV set as they grow older, it is likely that conventional TV platforms, and their underlying infrastructure, will continue to be important to consumers for many years to come." So those people aren't completely ditching linear TV, despite what Netflix might think or want. The numbers are declining, but very slowly. Ofcom also found that 85% of TV watching is still being done at the time shows are broadcast. But habits are changing, and diversifying, with different age groups accessing their content in different ways. Where some are still happy with the standard linear broadcasting model, others have completely ditched the regular TV format in favour of watching purely over an internet connection. And with free-to-air and pay-TV operators like Freeview Play and Sky now integrating net-connected services into their standard packages, the lines are going to become increasingly blurred – and that in turn will place a growing strain on the network infrastructure. "The future capacity demands on traditional TV and broadband infrastructure is likely to depend on the extent to which the on-demand and online viewing habits of a currently small proportion of the population are adopted more widely over time," concludes Ofcom.